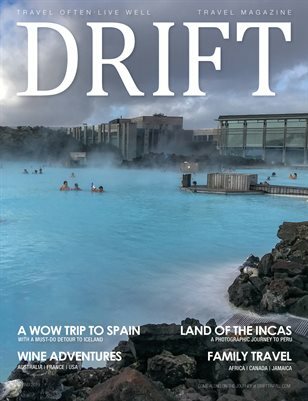 New 10-night cruises in Costa Rica and Panamá highlight what’s new in UnCruise Adventures‘ 2019 schedule of adventure cruises. 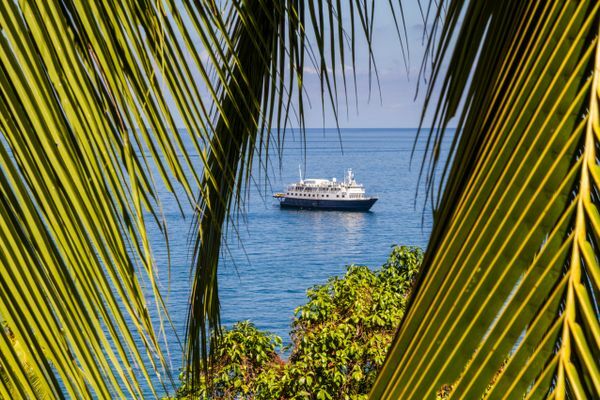 Based in Seattle, Washington, the line operates eight adventure ships, plus a partner vessel in the Galápagos, carrying 22-90 guests in Alaska, coastal Washington, Columbia & Snake Rivers, Mexico’s Sea of Cortés, Hawaii, Galápagos, Costa Rica and Panamá. Small ships decked out with adventure gear take travelers deeper into the destination: kayaking, paddle boarding, skiff excursions, hiking, bushwhacking, biking, snorkeling and rafting. In November and December 2019, five departures on a new 10-night Costa Rica & Panamá cruise visit Golfo Dulce, Osa Conservation Area and Curú National Wildlife Refuge in Costa Rica. Panamá highlights include the Pearl Islands, a visit to an Embera Village in the Darien Jungle, Coiba National Park and a late afternoon/evening transit of the Panamá Canal. The eight-night Unveiled Wonders itinerary sails between Costa Rica and Panamá 15 times from January 2019 until its last departure on April 12. Columbia and Snake River cruise – New wine and culinary cruiseA new weeklong Rivers of Wine & Culinary cruise debuts aboard the S.S. Legacy in 2019 with six sailings planned in November and December. Sailing roundtrip Portland, Oregon, the cruise visits wineries in four AVAs, a brewery, a cidery and emphasizes hand-crafted meals with local ingredients, as well as wine and food pairings. A sommelier and wine expert sail on board for the week; a guest chef joins for presentations. Areas visited include Astoria, Hood River, Columbia River Gorge, Walla Walla, Palouse Falls State Park, The Dalles and Willamette Valley. Eight departures on a weeklong Rivers of Adventure cruise sail between Portland, Oregon and Clarkston, Washington (or reverse) packing in adventurous explorations of diverse scenery with hiking, biking, skiff excursions, kayaking, and swimming in the river. Hike the Rowena Plateau and Multnomah Falls. Raft the Deschutes River and take a jet boat deep into Hells Canyon. Visit Palouse Falls State Park—hike and kayak. Transit eight locks along the way and taste local wine at Terra Blanca. Seven small ships sail 142 departures on 11 itineraries with a new Alaska’s Glacier Country itinerary sailing roundtrip from Juneau, Alaska. Ships sail from homeports of Seattle, WA; Ketchikan, Sitka, Juneau and Petersburg, Alaska from April through early October. Glacier Bay National Park is a highlight on many cruises with time to explore by kayak and hiking ashore. In spring 2019, UnCruise will feature 24 Alaska Awakening departures in April and May and will begin spring Alaska sailings on April 6, the earliest in company history. Alaska Awakening highlights the benefits of spring and encourages visiting Southeast Alaska during the driest months of the year. On every Alaska Awakening departure, an Alaska Awakening Insider theme host will share their intimate knowledge of the land with guests. From January through March and December, the Safari Endeavour sails 16 departures on a weeklong Baja’s Bounty itinerary roundtrip San José del Cabo with an included transfer to the ship in La Paz. A week of exploring remote islands and waters in the UNESCO World Heritage Site includes a burro ride into an arroyo led by a local ranchero family, snorkeling with sea lions at Los Islotes, desert hikes and marine life searches. Depending on the time of year, don snorkels and swim with whale sharks (gentle giants) or cross the Baja peninsula to Magdalena Bay, board a panga boat and see grey whales and calves up close. Six departures of a 7-night Darwin’s Discoveries itinerary aboard La Pinta sails roundtrip Guayaquil, Ecuador and explores seven islands and islets in the Galapagos Islands –Islas Baltra, Seymore Norte, Isabella, Fernandina, Rábida, Santa Cruz and Floreana. A pre-cruise hotel night in Guayaquil is included along with roundtrip air between Guayaquil and the Galapagos. Local guides lead excursions ashore and by sea exploring wildlife. Snorkel, kayak, swim, glass-bottom boat and hike. See giant tortoises and visit the Charles Darwin Research Center. The Safari Explorer sails 22 departures on a Hawaiian Seascapes itinerary one-way between Moloka’i and Hawai’i (or reverse) from January through March and November through December. The island hopping cruise visits Maui, Lana’i, Moloka’i and the big island of Hawai’i. An overnight and full day on Moloka’i explores traditional Hawaiian culture with locals in Halawa Valley, as well as a Pa’ina feast in the evening. Snorkeling and small boat explorations reveal the universe of marine life—dolphins, tropical fish, whales, green sea turtles and a night snorkel with Giant Pacific Manta rays. Watch for whales in the Humpback Whale National Marine Sanctuary. In spring and fall, 15 departures on a weeklong Explore! Olympic Wilderness and San Juan Islands itinerary sail roundtrip Seattle exploring Puget Sounds’ shores, the Olympic Peninsula and the San Juan Islands. The 22-guest Safari Quest tucks into small bays for explorations. Hike Hurricane Ridge in Olympic National Park, take in the views from Mt. Constitution on Orcas Island, kayak off Lopez Island, and hike across Sucia, a Washington State marine park. With a focus on exploring nature and wildlife outside, UnCruise carries its own adventure equipment and employs a team of knowledgeable expedition guides to lead adventures off ship. Guests are immersed in the destination and can choose from varying levels of activities—kayaking, hiking, beachcombing, paddle boarding, snorkeling, skiff excursions and wildlife searches.